Back in 2008, I received an email from a friend who worked at a client’s winery. She asked me if I had ever been to the Napa Valley Auction. I hadn’t, but as it turns out, she had 2 tickets to the upcoming Friday Event and asked if I would like to go. There would be food, wine to taste and lots of wine to bid on. At first I was a little hesitant, as I know that there are two things I really don’t like to mix: drinking and bidding. That is usually a cocktail for disaster when it comes to my credit cards. But then, I thought about it and figured, “ehhh, why not?” So, I respectfully accepted. To my surprise, it would turn out to be the best wine experience in the valley I ever attended (I was there for 11 years). We went to the event at Sutter Home, just south of St. Helena on Rt. 29. Many of my friends outside the wine industry automatically think big bottles of cheap wine, sometimes in boxes. Let me tell you, Sutter Home is one of the most beautiful properties in the valley. The grounds, cellars and tasting area all were unbelievable. So we wandered out into the multi acre front yard that had 7 large white tents, each filled with 20 to 30 caterers and wineries. Some of the best chefs in the world could be seen handing out “bites” (my wife and I saw Thomas Keller handing out tastes), winery owners were pouring wine and celebrities wandered around like kids in a candy store. Helicopters are landing, dropping off people like Oprah and her crew. It was amazing. Some of the best chefs in the world could be seen handing out “bites,” winery owners were pouring wine and celebrities wandered around like kids in a candy store. After spending the morning eating and drinking, the afternoon brings you to the “barrel room”, where nearly 100 wineries await you to take tastes of wine directly out of barrels. But here is the kicker, if you like the wine you tasted, you can bid on a case of wine from that barrel. They take the top 10 bids on each barrel and those are the winners. You can get some screaming deals on cases of great, unique bottles, as they get a special label or stamp signifying the auction. Then, on the Monday after, they email you to let you know how many cases you’ve won. It’s kind of a mystery (and actually a blur) trying to figure out how much you bid on and this was my biggest fear; but it wasn’t that bad. I ended up with 4 or 5 great, unique cases of wine that I got to share with coworkers and friends and I have many of the bottles still today. All that said, I would do it again in a heartbeat and if I am lucky enough to get tickets this year, I will go. It’s the first weekend in June, this year the Friday event is at Mondavi and it’s not cheap (it’s $550 per person) but well worth it. There are a number of other events, dinners and live auction that all start on Thursday and go on through Sunday. 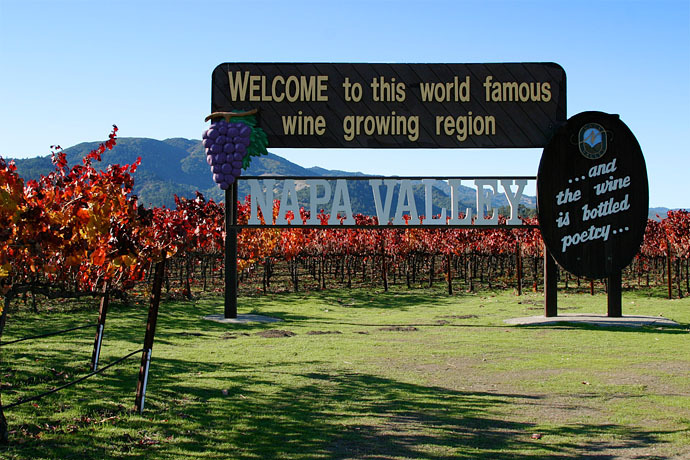 If you enjoy food and wine, you really need to add attending the Napa Valley Auction to your bucket list!